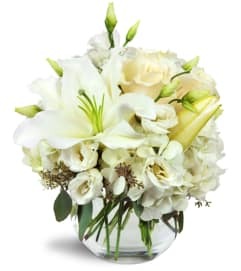 We're willing to bet your love is classic and true - make sure she knows, too, with this sweet and romantic display of fragrant blooms! 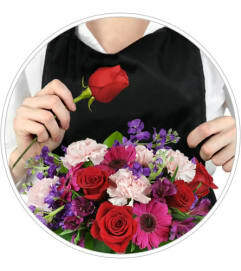 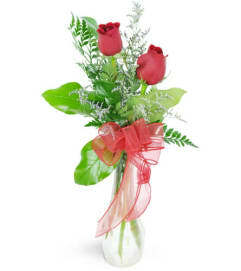 For Valentine's Day, an anniversary, or a special birthday - it's a wonderful way to convey your love and affection. 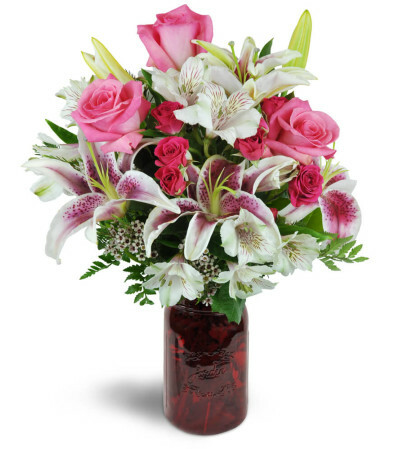 Pink roses are arranged with stunning Stargazer lilies, Peruvian lilies, spray roses, and more - all in a charming red mason jar vase.